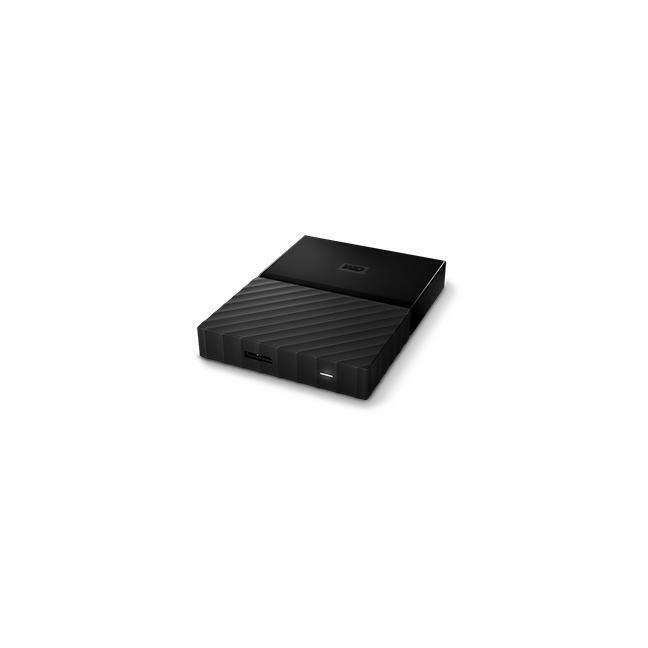 Take your work with you thanks to this WD portable external hard drive. 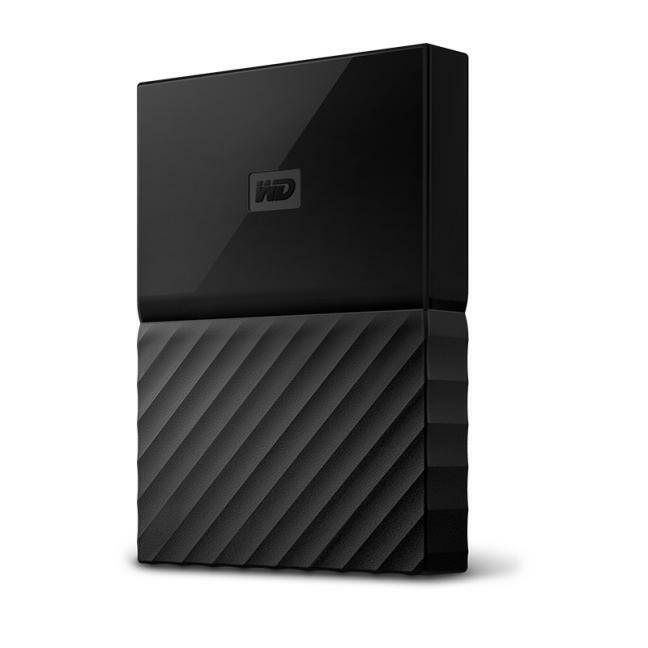 With built-in password protection, this WD hard drive helps prevent unauthorized access, and backup software protects files from being lost. USB 3.0 interface offers quick and easy connectivity. Data transfer rates up to 5Gbps via USB 3.0 and 480Mbps via USB 2.0 ensure a speedy response when updating files. USB 3.0 interface offers quick and easy connectivity. Backward compatible with USB 2.0. Automatic backup with custom scheduling and WD Backup software helps ensure important files are always accessible. Built-in 256-bit AES hardware encryption, password protection and WD Security™ software prevent unauthorized access to data. Add a "return-if-found" message to your password prompt, so it's easy to recover your hard drive in the event of loss. Includes WD Drive Utilities™ software for enhanced performance. Portable design with bold styling creates a sleek appearance and is easy to take along on trips. 1TB maximum storage capacity provides ample space for essential files.